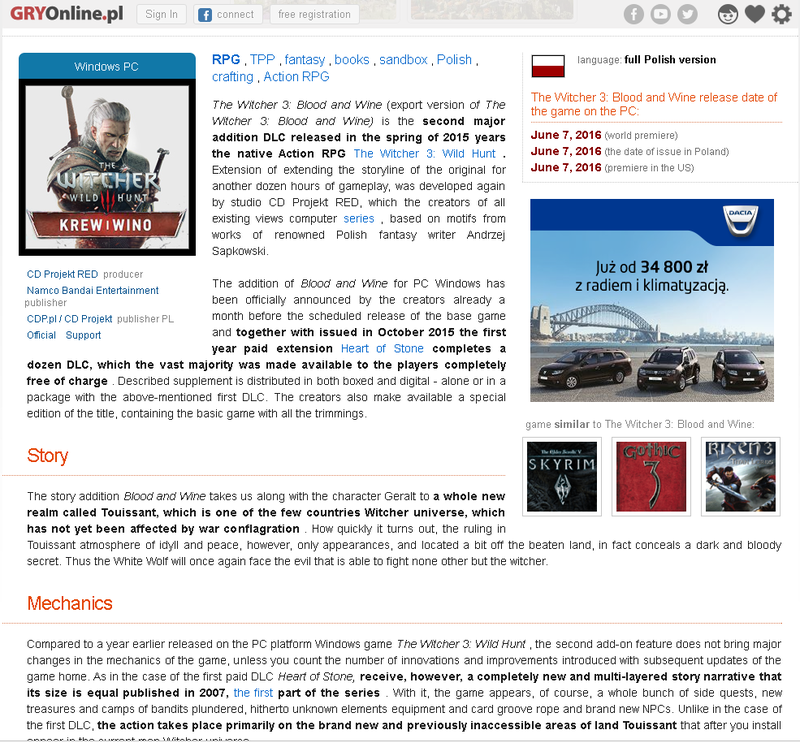 A Polish website may have accidentally leaked the release date for The Witcher 3's hugely anticipated Blood and Wine expansion. 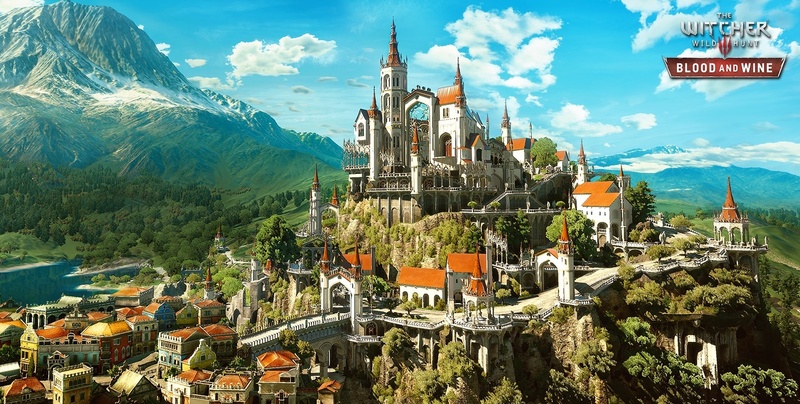 According to ShackNews, notable Polish gaming site GRYOnline broke an NDA and listed Blood and Wine for a release on June 7 across all platforms. As news broke out about the apparent slip up, the website has since updated the listing to TBA 2016. CD Projekt RED has yet to officially unveil the release date for The Witcher 3's final expansion, affirming that it's still coming "sometime in 2016". Gamers have huge expectations for Blood and Wine, and rightly so: CD Projekt RED says that the expansion will be "even better than the main game", featuring a wealth of content along with a "charismatic new enemy". Blood and Wine will be Geralt's final adventure, and the devs are sending him off with a huge bang. "Blood and Wine is an independent history, not tied in particularly closely with the main plot of the Wild Hunt. With our experience and feedback received since the game is on sale, we believe we have achieved something even better than the main game," CD Projekt RED's story writer Jakub Szamalek told Eurogamer. "We believe that they failed in Wild Hunt to create a charismatic enemy with which to beat us, and then we worked to make unique and memorable opponent of this expansion. We also created a rather complex story that we believe players will appreciate." As for the proper release date reveal, CD Projekt RED will attend PAX East on April 22, so we may see an official announcement at the show.